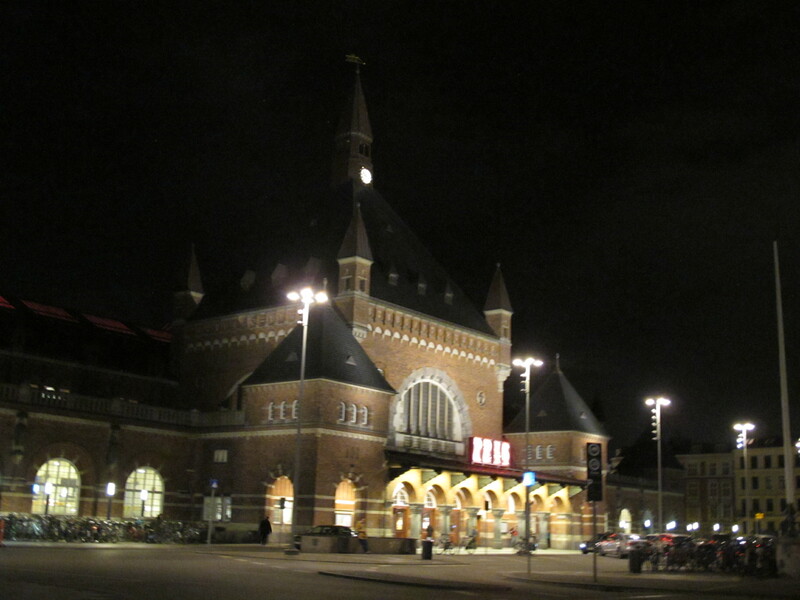 Continuing with Copenhagen’s commercial heritage, another place not to miss is Børsen, a gorgeous Dutch renaissance style building constructed by King Christian IV in the early 17th century. It was built to house the stock exchange, reflecting the growing importance of commerce in the country’s economy and in the life of its capital city. 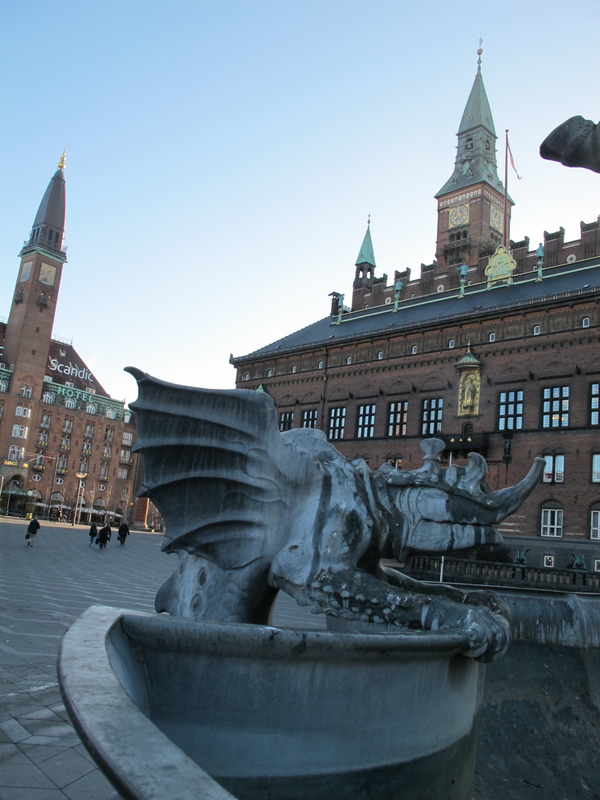 The most impressive part of the building is the dragon spire – four intertwined dragon tails topped by three crowns symbolizing the empire that spanned Denmark, Norway, and Sweden. Børsen housed the Copenhagen Stock Exchange until 1974. 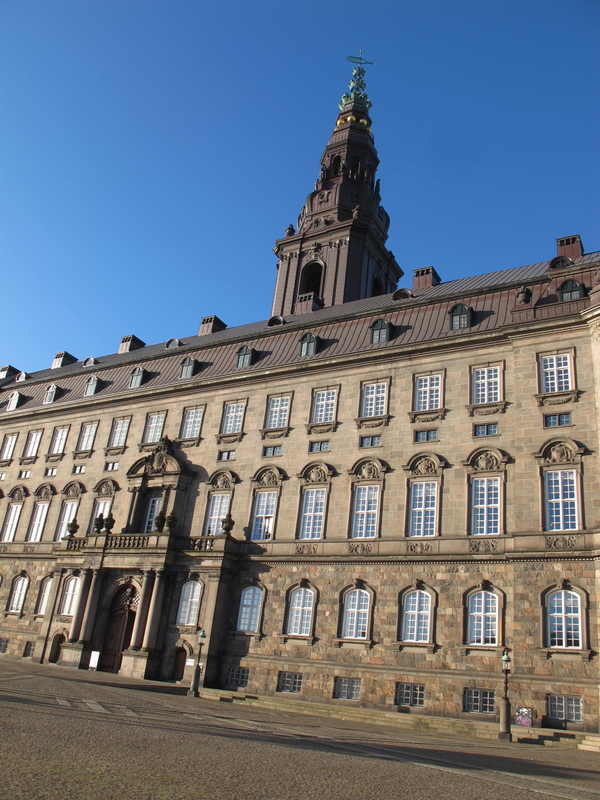 It is clear how important the Børsen was to the state just from the location of the building: next door to the imposing royal palace, Christiansborg, which also serves as the seat of the Danish Parliament, the Prime Minister’s Office, and the Supreme Court. 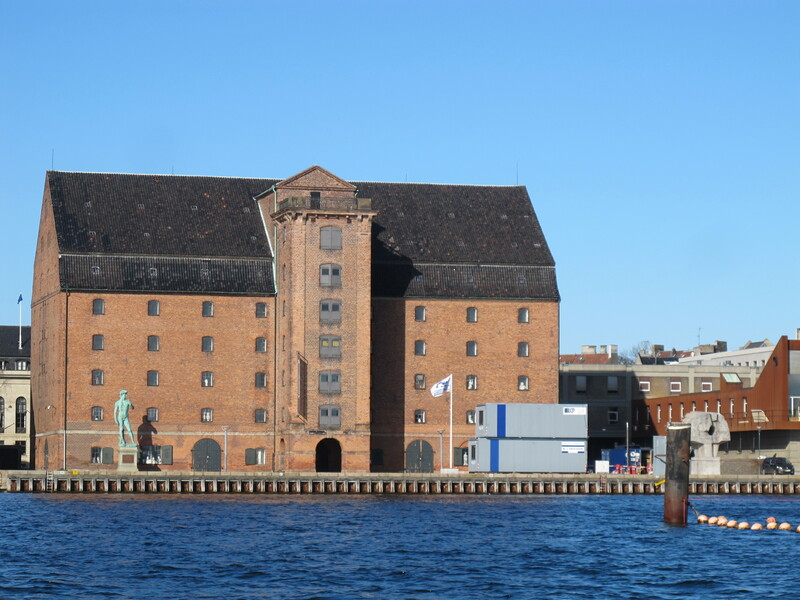 Copenhagen is best appreciated from the water (although arguably not in early March when I was there, it was a tad breezy =) From this perspective, Copenhagen’s maritime prowess, past and present, is even more evident. 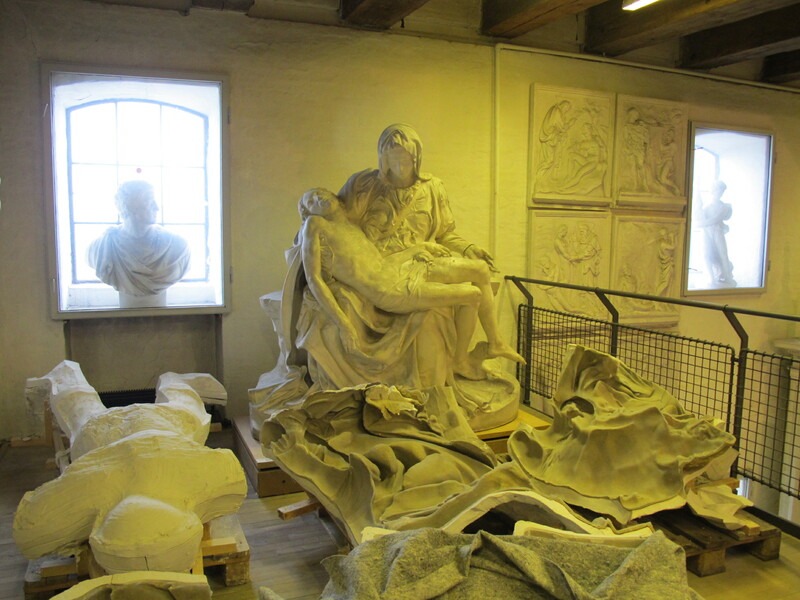 One of the most striking views for me was the old West Indian Warehouse (Toldbodgade 40) in the port of Copenhagen with the replica of Michelangelo’s statue of David in front of it. 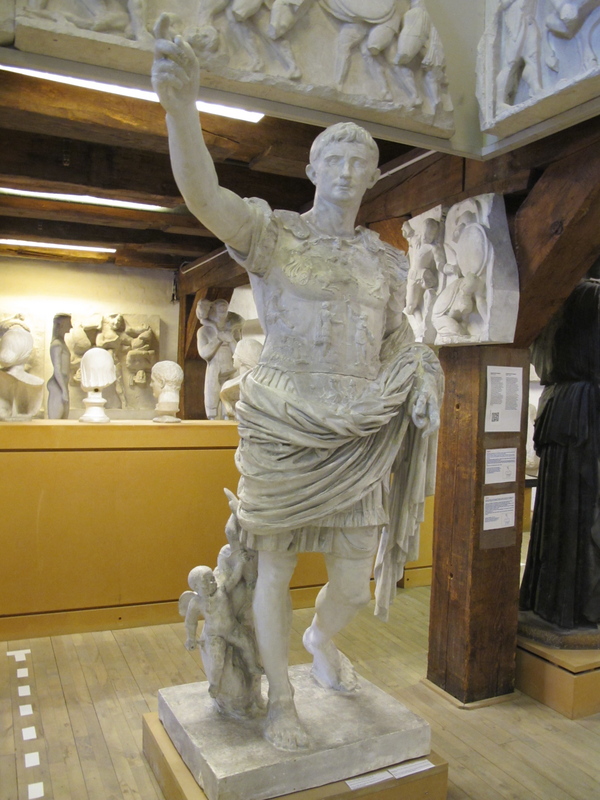 Originally built to store sugar and rum, today the space houses the Royal Cast Collection, an amazing – overwhelming really – collection of over 2,000 plaster casts of masterpieces you’ve always wanted to see. 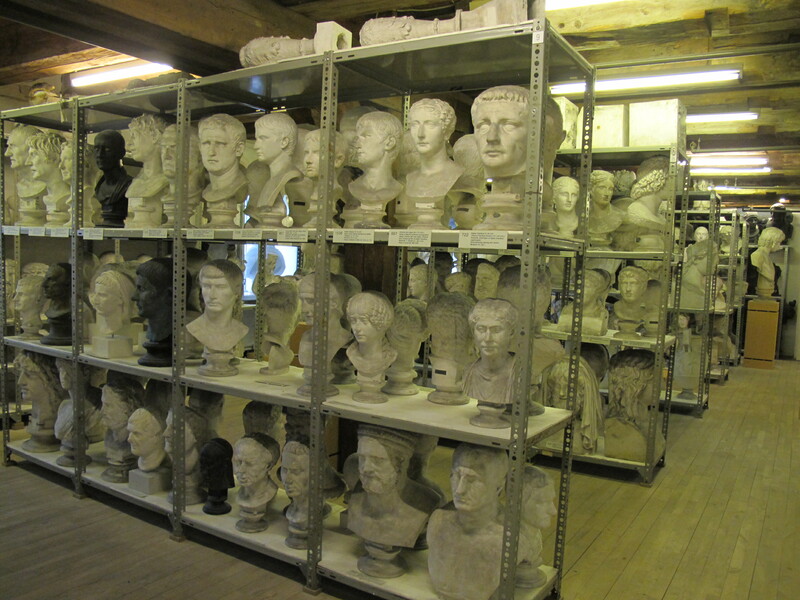 Here you can see them, and much more, in one awesomely cool place (for free). 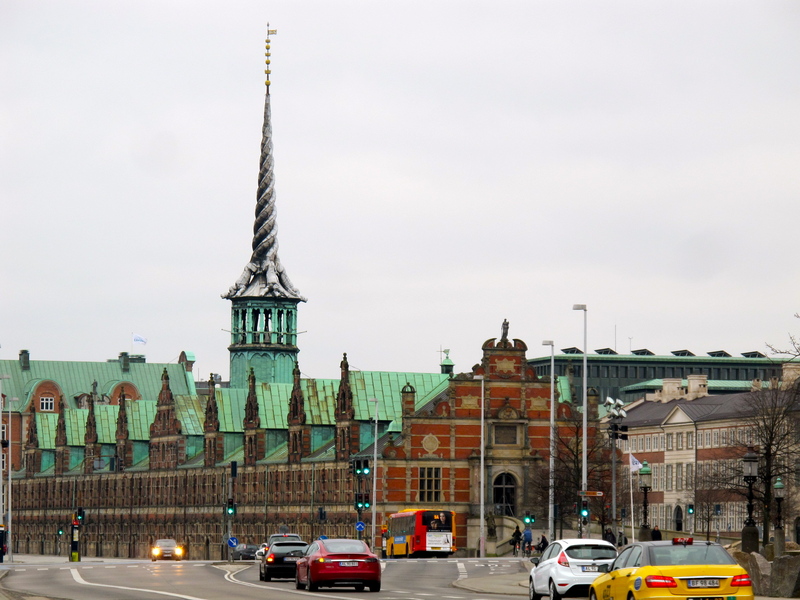 Another amazing sight on a boat tour in Copenhagen harbor is the headquarters building of Maersk, one of the biggest shipping companies in the world. 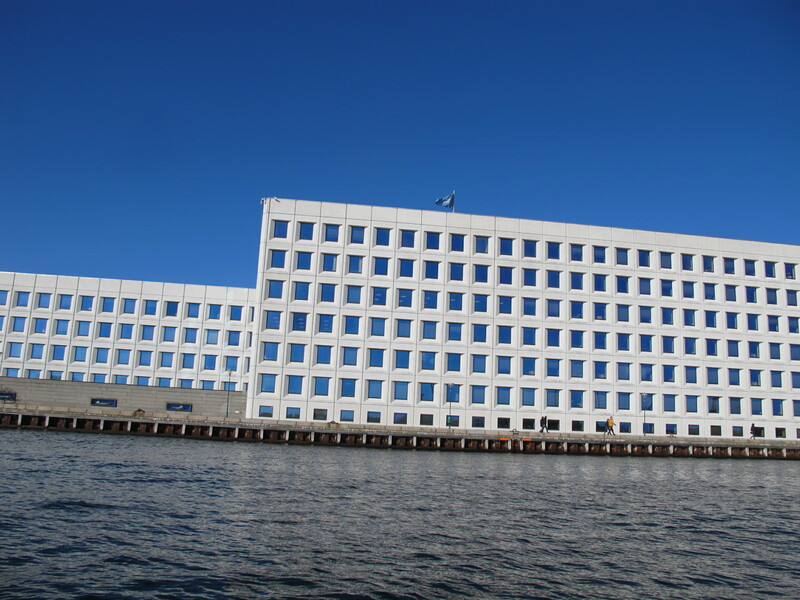 Maersk is Denmark’s contemporary maritime empire: it has subsidiaries and offices in more than 135 countries worldwide and around 89,000 employees – and this beautiful, modern white-and-blue headquarters. 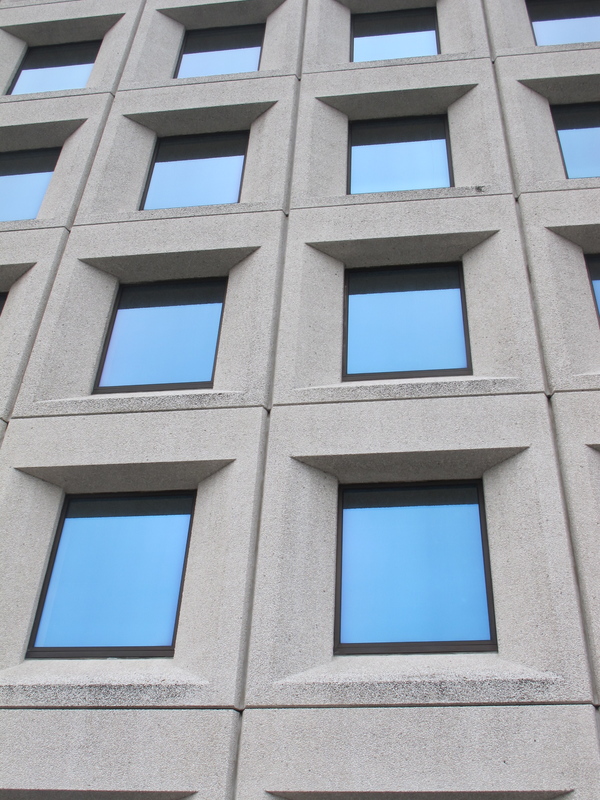 Take a look at the photos and you’ll easily understand why it’s called the 1000 Blue Eyes Building! 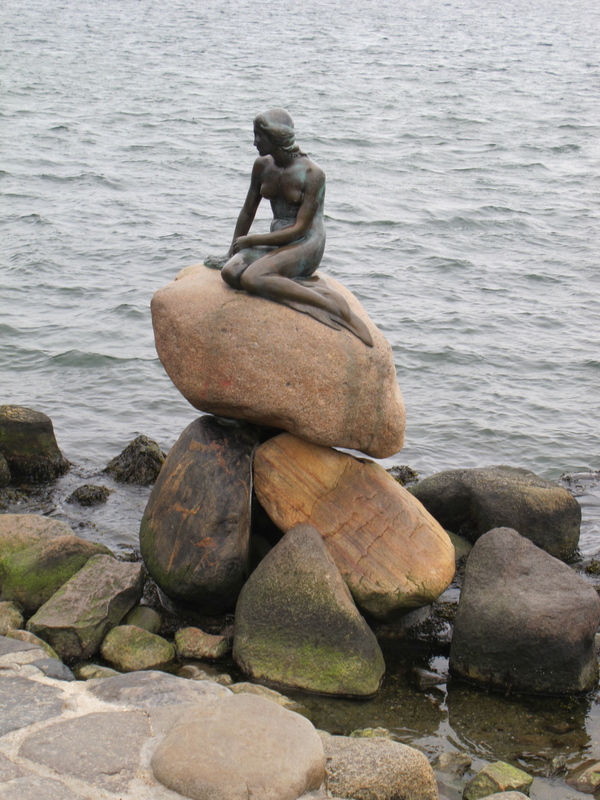 And of course it’s impossible to talk about Copenhagen’s maritime heritage without mentioning its well-known symbol, the Little Mermaid. Unveiled in 1913, the bronze statue created by Edvard Eriksen is based on the fairy tale of the same name by probably the most famous Dane ever, Hans Christian Andersen. Every day of the year this site is packed with tourists taking selfies with the Mermaid – believe me, getting this shot without anybody’s head in a frame was not easy! If you want to stay with the maritime theme after a full day of sightseeing, let me offer a restaurant recommendation. 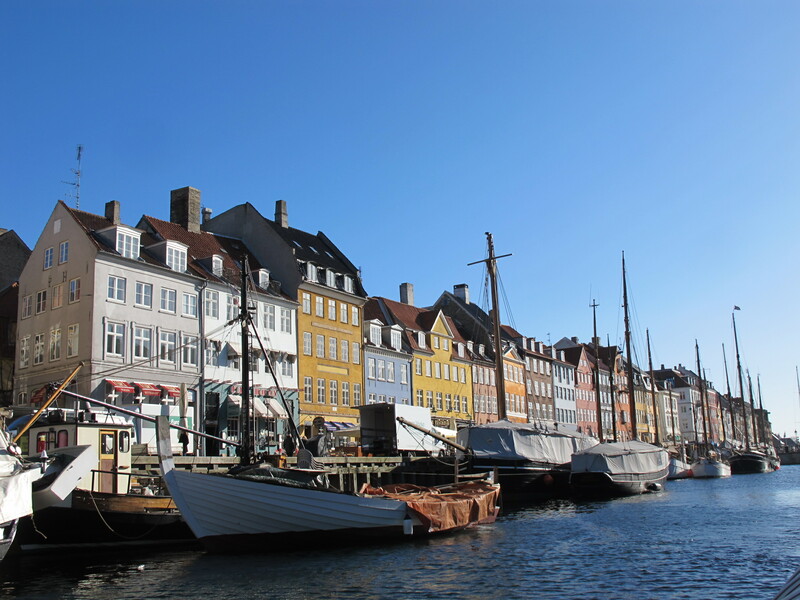 In a gentrifying district of Vesterbro, just south of the main train station, an old meat market was converted in 2010 into an award-winning seafood restaurant by sommelier Anders Selmer. 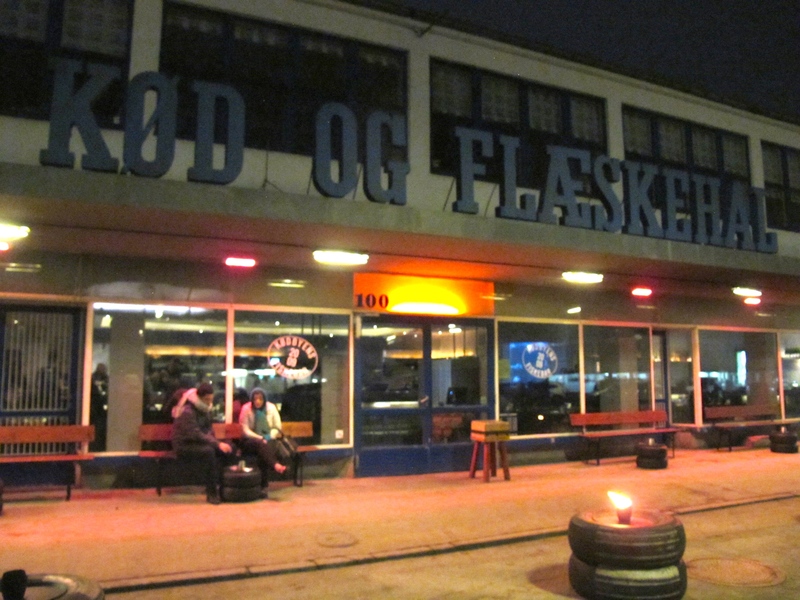 It’s called Kødbyens Fiskebar, which translates to Meat Market Fish Bar. Delicious fish and shellfish prepared in unexpected, innovative ways will delight the most demanding diner. It’s not cheap but worth the splurge. Most importantly, despite its industrial & utilitarian past, Fiskebar’s building has been transformed into a place of surprising cosiness. The Danish have a special word for that quality: hygge. It means creating a warm, welcoming atmosphere and enjoying the good things in life like food and wine with good people around the table. 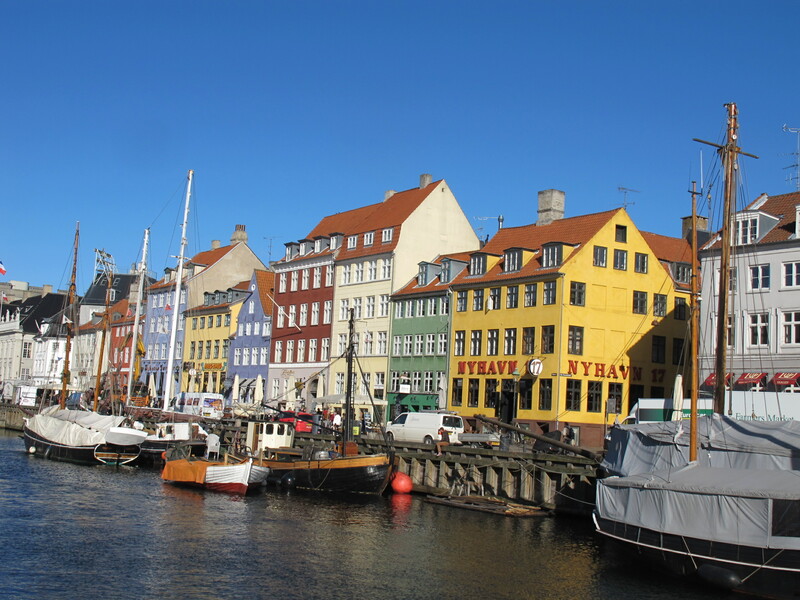 I raise my glass to Copenhagen’s undeniable hygge. Skål!